Engaging, accessible, and thought-provoking, No god but God is a persuasive, elegantly written, and accessible introduction for young readers to a faith that for much of the West remains shrouded in ignorance and fear. 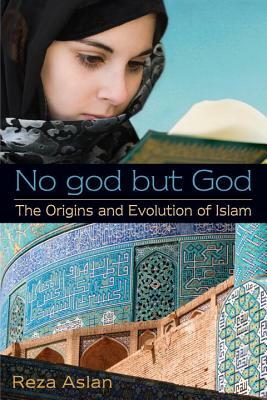 Adapted for young readers from No god but God: The Origins, Evolution, and Future of Islam, this exploration of Islam by Reza Aslan, internationally acclaimed scholar of comparative religion, delves into the rituals and traditions of a religion that is largely misunderstood by the West. It covers the religion’s origins—the revelation of Muhammad as Prophet and the subsequent uprising against him, and the emergence of his successors—as well as Islam’s complex history. No god but God is sure to stimulate discussion and encourage understanding of the Islamic faith and the people who follow it. REZA ASLAN has studied religions at Santa Clara University, Harvard University, and the University of California, Santa Barbara. He holds an MFA in fiction from the Writers' Workshop at the University of Iowa, where he was named the Truman Capote Fellow in fiction. The original adult edition of No god but God was listed by Blackwell Publishers as one of the hundred most important books of the past decade. Born in Iran, Reza Azlan now lives in Los Angeles, where he is associate professor of creative writing at UC Riverside.